I have a T/C Encore that will be getting a new barrel when I get back in either 7mm Rem Mag, 300 Win Mag, or 338 Win mag (or maybe all of the barrels) for deer and elk hunting back in eastern Montana. Longest shot I will make will most likely be 300 yards or less, heck I don't think I have made a hunting shot over 200. My question is will the HHR, BDC, what ever they are called for the following scopes work well with the different calibers that I am considering and the following scopes hold up to the recoil and hunting environment? What would you recommend? The Zeiss 2.5-8 would be my first choice of those you have listed. It is good for much further than you are likely to shoot, based upon your comments, and, to my mind, best "bang for the buck" of those listed with the 4200 2.5-10 running a close second (make that very close...Rainguard may be important for you and if it is may be the "edge"). I've not used a Sightron, some like them some don't. I really can't tell you if the Sightron would be a good deal or not. Someone like Koshkin, who has spent some time with Sightron will chime in for you. No clunkers in the bunch ..For the dollar value--I'd probably go with the 4200 ( rainguard being the edge here). While I've never owned a Big Sky, I did have a SII 1.5-6 and found it diasapointing optically, with well below advertised eye relief . Nikon isn't exactly known for good CS, but I hear it may be getting better. A Zeiss is always nice, and have compared it directly to other scope models you're considering. It has a nice , bold reticle, but didn't really stand out as optically as better than the 4200. What is it with Sightron and eye relief? I've got an SI 3-9x40 whose e/r I FIND to be way below advertised specs. Some guys have told me their exact same model SI's were fine. Now martin3175 says he had an SII 1.5-6x42 whose e/r was "well below advertised eye relief". But I've got one that is right on the specs and its e/r is better on 6x than my VXIII 1.75-6x32. I've measured the e/r on both Sightron scopes. How can this be? sightron is a awesome piece of glass and they have rain coating i believe! Also consider the Conquest 4x for 299. With this you can dial in correction for trajectory at any power where a balistic reticle only works for hold over at the highest power. I will say that you should consider ordering your Encore barrel from Bullberry. 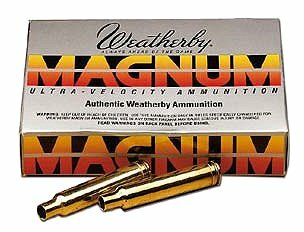 http://www.bullberry.com/ Their barrels are accuracy guaranteed and you will not regret having selected one. I have had TC barrels in 300WM 25-06 .375H&H & 30-06, 50 musket 12 slug, .308 pistol & 45-70 pistol. Some TC barrels shoot reasonably well and some simply will not group well. I never could make the 300WM or the 25-06 barrels shoot and the jury is still out on the 30-06 as sometimes it works and sometimes it doesnt. I have had several of their muskets and they shoot better when they get broken in and that may be the same with their other barrels but the .375 H&H barrel seems to be the most consistent of the ones I have had and it would work nicely for 300 yds and closer. When they say bring enough gun .375 H&H is enough gun. Thanks for your service. My daughter is a medic in Balad. Thanks for the responses. While I think the Trijicon's are real slick and the Bindon Aiming Concept would be great for inclose "oh crap a deer moments", I don't think I would get enough use out of it while still in the Navy and the tritium would die out mostly unused. Does any one know how much brighter the Zeiss with the 40 Obj would be compared to the 32 Obj? Granted I still need to look at them with my own eyes. Urimaginaryfrnd, thanks for the link for barrels, on your encores did you use regular encore barrels or pro hunter? I have a co worker with a pro hunter in 7mm rem mag and he loves it to death and is accurate with it. Jetwrnch, please tell me you have a bayonet and flashlight/laser for that supped up muzzle loader.